Elaine Hancock (Olney, United States) on 1 February 2017 in Landscape & Rural. The farm was established in 1780 and consisted of 261 acres. It was bought in 1860 by Christian K. Thomas, a Baltimore dry goods merchant. Some of the heaviest fighting during the Battle of Monocacy took place on this farm in 1864. During the Civil War, the Battle of Monocacy was significant in that it prevented the Confederate troops from marching on to Washington, D.C.
A l'infini. .... Belle profondeur d'image. J'aime beaucoup ce style de cliché. Fantastique vue e tiamge quelle route quelle perspective fantastique. Ici on a eu la neige en octobre après le vent chaud qui a fait fonde puis de retour la neige en grande quantité, mais à nouveau maintenant le vent chaud. terrible. Superbe perspective, la route paraît infinie. Strange how we can so easily still feel History lingering in places like this . .
And a lovely road, at that. Lovely. Envie de rouler sur de telles routes à travers la campagne ! Lovely landscape with a fabulous view down the road. Very good catch of this road. Good depth. Tanks for the info too. Beautiful composition . A superb perspectiv ! 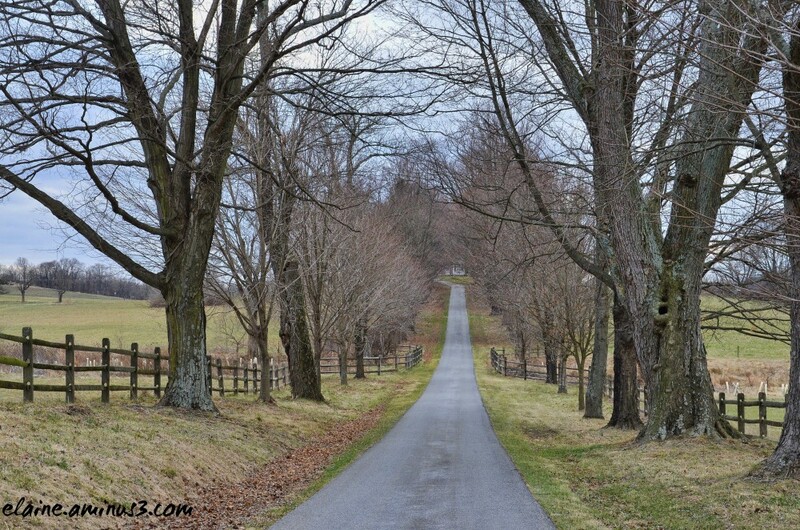 An outstanding road shot for the trees, fences, and general appeal of the orad. Excellent. What an excellent PoV which adds an incredible amount of depth to this composition!! Thank you for the background information. Some of it sounds familiar from what I read in "Alexander Hamilton". Excellent composition and interesting information regarding this place. Perfect perspective and picturesque bare trees. Interesting historical info as well.